Choose your favourite coloured display Rolls! Each display roll is individually boxed for neatness and storage. Extra wide sized and ideal for long-lasting murals, notice board backgrounds, stage backdrops, exhibition boards etc. 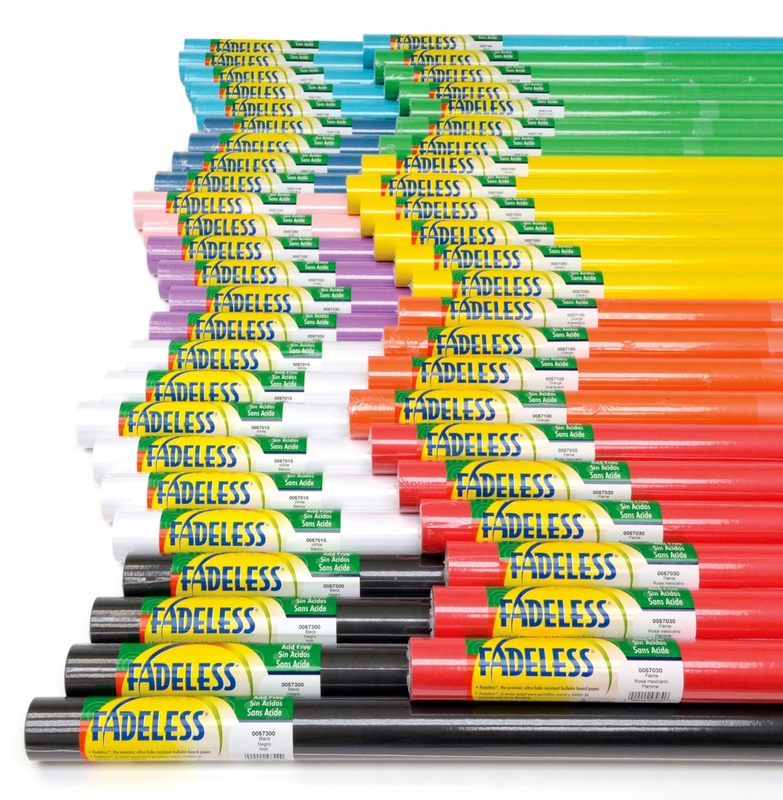 The special Fadeless formula inks used in the manufacture are designed to resist fading over time and exposure to light making these display rolls ideal for longer term use.